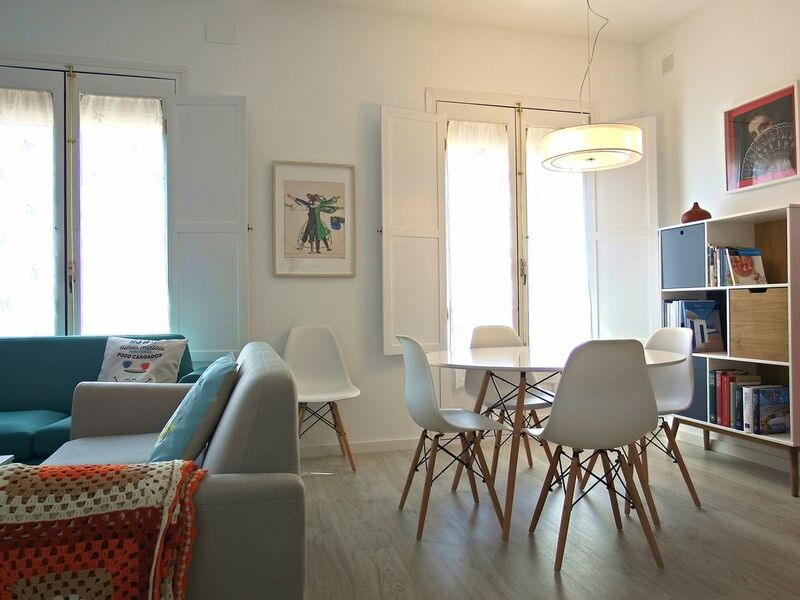 Apartment in the center of Almagro, less than a minute from the Plaza Mayor neuralgic center of the city and where the famous Corral de Comedias is located. Very close to the Municipal Theater and the Hospital of San Juan. Living room with sofas of 3 and 2 seats, plus 2 additional armchairs. Fully equipped American kitchen (fridge, ceramic hob, oven-microwave, washing machine, dishwasher, water treatment by osmosis, coffee maker, coffee set, blender, iron-toaster, crockery and cutlery for 12 people, kitchenware ...), breakfast kit (with sugar, infusions, coffee capsules, decaffeinated / normal soluble coffee and instant cocoa), basic food kit (pots with pasta, rice and noodles, some basic spices, salt, oil and vinegar) and a bottle of water . Come and enjoy art in Almagro, comfort here, because you will find everything you need to get a stay tailored to your needs.